Haven't post in awhile but here is a new wall that i did. It took me forever to finish this. could have finish it earlier, but was busy. Anyways tell me what yall think! pretty. i've been waiting forever for this movie to come out ... :'( u seem like a big fan of cloud/tifa like me heh. hi-5 yo! That's pretty neat - I like the picture here and it looks very nice nonetheless. 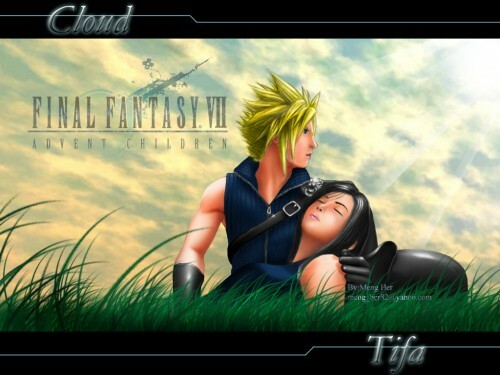 Cloud and Tifa... ahh - back to the old classic Final Fantasy VII, wouldn't you say? Great work, and keep it up. Great job. Looks very good. Can't tell if it is a drawing or the real scene. If it is a drawing, that is absolutely amazing.